Epistemic and instrumental rationality is a breath of fresh air into conversations about... well, virtually anything. The news says that cell phones may cause brain cancer. Cue panic and hand-wringing among your friends and co-workers. But you ask yourself: (a) what is the evidence for this causal relation? (b) Assuming it is real, what is the actual level of risk? (c) Is the risk worth accepting, given all the benefits you get from cell phones? Most likely, after this analysis you keep on using your cell phone, without being much more concerned than you were before. This is the kind of thinking that makes me love the rationalist/skeptic/analytic philosophical tradition and the people one finds in it. To be honest, it has grown difficult for me to enjoy non-fictional (or even fictional) material that is not authored by rationalists of some description. Although I’m well aware of the problem of groupthink, it can sometimes be simply too painful to read anything else. Political discussion, in particular, which I used to find engaging, I now find infuriating — especially when it comes from people who agree with me. They usually agree for all the wrong reasons, dammit! But because my preferences have narrowed somewhat, I am getting pickier about what I find in “our” tradition as well, and the mistakes one finds in rationalist thought tend to... recur, a lot. Sometimes this is because of the personality types drawn to rationality. Sometimes this is because of the political clusters that identify with rationality. Sometimes this is a simple matter of bad ideas spoken by other rationalists that have taken hold. Sometimes this is a result of what one might call domain-chauvinism, in which someone understands a particular field reasonably well but discounts everything outside of it as worthless. In this post I attempt to point out a few of the vices of thinking that the rationalist tradition is prone to. I do this because I want to make that tradition improve further, not because I think some other tradition is better. Indeed, it is often true that other traditions suffer more from these vices or at least just as much. Now, this story may actually be correct. I have heard famous evolutionary biologists put it forward seriously as a possibility, and it seems quite plausible to me, though I am no expert in evolutionary biology. Something in this ballpark may be correct as at least a partial explanation for human moral behavior. The mistake I wish to highlight lies in thinking that once you have told this causal story of how morality arose in Homo sapiens, you have answered every interesting question about morality. There are at least two other relevant questions here that still have to be answered. For one thing, this account is descriptive, whereas morality is generally supposed to be normative. Where does the normativity come in, if anywhere? You see, I successfully explained the general rarity of violent criminals, but I failed to give you, personally, a reason not to shoot me — which was the most important part! “Where does the normativity come from?” — this is the problem of meta-ethics. It is not answered by knowing the evolutionary history of ethical intuitions. The second interesting question is the object-level question, “What is actually moral (if anything), and how do we find that out?” Again, it is not clear that looking at our evolutionary history would answer that question, even if we could do so. Suppose our evolved intuitions say that killing animals is morally permissible. Does this make killing animals morally permissible? No, it does not, and to think so is a fallacy of reasoning — the naturalistic fallacy. Or maybe you're skeptical about the whole idea of morality - maybe it's just an illusion? Even then, you still have some work to do explaining what to make of people's constant moral statements. Are they expressions of attitudes, or are they aiming at the truth (and missing)? Why do we feel so inclined to act as though there were a moral fact of the matter? And several more interesting questions. So in this particular case, the vice is to treat a scientific explanation of ethical intuitions as if it were the last word on ethics. The general case of the vice is to act as though empirical questions were the only interesting or relevant questions. In reality, there are usually attendant philosophical/psychological questions that are at least as important as the empirical questions. Most importantly, educated members of other groups (e.g., the religious) know this very well, and so to them the vice seems to display a sort of shallowness. A religious person, upon hearing the above story, might say something like “But that means a mother only protects her child because it increases her genetic fitness! That is not what it’s like to be a mother!” That objection can be answered effectively only by somebody who has thought through both the scientific inferences and their philosophical implications. (1) Love is just a bunch of chemicals, like dopamine or whatever. It doesn’t really exist. (2) Love is a high-level phenomenon of human psychology. It has no ontological standing on its own (in other words, the LHC isn’t going to discover any Love Bosons). Statement (2) is roughly true, in my opinion. It is also sometimes worth saying to people who naively treat love (and other such concepts) as if it were a Platonic solid. However, statement (1) is batshit insane, for a few reasons. Reason number one is that it is equivocating between two senses of “exist,” one in which “exist” implies ontological basicality (in this sense, electrons exist but tables don’t), and another, everyday sense of “exist” in the sense of featuring in our best explanations of the world (here, both tables and electrons exist, as different zoom levels in the same model). Reason number three is that statement (1) denies the phenomenon. So love doesn’t exist, eh? In that case, why do you use the term in your daily life (I’d be willing to bet), as in “My friend Sally is in love with my sister”? Is it just a convenient fiction? Because if you believe in convenient fictions, you do owe us an explanation for why the fiction just happens to be so convenient. Rationalists tend to cluster into (1) social liberals*, and (2) libertarians. For example, I have never heard a self-described rationalist argue against homosexuality (except, once, to decry its mixed Greek and Latin etymology!). It is not the purpose of this post to argue against liberalism or libertarianism; however, we can see these two movements driving the rationalist movement’s priorities in odd directions sometimes. For example, although I am glad of the stout defense that natural selection receives from atheists and skeptics, I cannot help but marvel at the extent to which this particular concern overrides others that one might care about — for example, energy policy or world poverty. I suspect that at least part of this imbalance is caused by the juicy political hits one gets to score by arguing against the fundamentalist right if one is a liberal rationalist. One cannot get these sucker punches in as easily if one is discussing, say, how much overseas aid we ought to allocate. I think a rationalist who considers himself a “liberal” (or whatever other stripe) should take a good, hard look at what that concept means, and at the sheer historical contingency of it. “Liberal” tracks a cluster of more-or-less objectively unrelated positions (high taxes and... abortion rights?) that comes to us from the murk of history. To find yourself, as a rationalist, in agreement with most standard liberal positions is, um... quite a coincidence. It reminds me of what is said about Descartes — a 17th century Frenchman who bravely threw out all knowledge except that which was utterly certain, built on this unassailable foundation, and arrived at... - ta da! — the typical beliefs of a 17th century Frenchman. If that doesn’t sway you, then at least consider (like a good consequentialist) that your voice may be most effective at correcting sloppy thinking within your own political tribe, rather than outside of it. This is a very important consideration even if you think that the enemy tribe’s mistakes are much worse than those of your tribe. Are there any other vices you can think of? Do you think I’m talking through my hat altogether? *I am using the word "liberal" in the North American sense here. I would argue that the worst vice of all is judging a person's opinion on (what you correctly or incorrectly take to be) his political convictions. Absolutely. To generalize even further, "guilt by association" style thinking, in which your opinions on X are strongly influenced by what kind of people believe X, what they historically did & didn't do, etc. Thank you, this is a good post that someone needed to write. I've found myself making all 3 of these mistakes at various times. "To be honest, it has grown difficult for me to enjoy non-fictional (or even fictional) material that is not authored by rationalists of some description." Any recommendations on good rationalist fiction? The only example I can really think of is Harry Potter and the Methods of Rationality (and the other rationalist fanfiction linked to it, such as the Twilight one), but I may be looking too narrowly. There's also the point that non-cooperative (leaning) individuals are easily ostracized from cooperative groups with repeated interactions and gossip spreading reputations throughout the group. And so these individuals can learn to conform to cooperative norms. Groups usually have very little tolerance for freeloading coasters. If you fail to cooperate, you'd better keep it pretty well hidden, or the group is likely to beat the snot out of you. Often, the situation makes it difficult or impossible to hide non-cooperation: you're forced to stand and fight with the group against a common enemy or run away. Some (hidden) cheating may sometimes be possible, but over the long run the cheaters would be found out and eliminated. >Any recommendations on good rationalist fiction? Well, Yudkowsky has a few more stories that showcase his usual mix of wit and hubris; The Sword of Good is one of my favourites. Anything by Rebecca Goldstein (also see RS podcast featuring her). Vernor Vinge and Greg Egan are really great examples, although Vinge occasionally drops a libertarian anvil. Terry Pratchett is always worth reading, though he's more a humanist than rationalist. Ian, this is an extraordinarily incisive and courageous piece! There are certain modes of thinking that remain extrmely popular because they are easy, because they neatly avoid having to see certain hard questions for what they are. That website you sometimes link to (LW) positively overflows with that mode of thinking, and I am extremely pleased to see someone affiliated with it making a stand like this. No sane person would deny that epistemic and instrumental rationality are pillars of intellectual responsibility, but, as you say, there is a lot more for us to do than simply score lulz points against creationists. Is LW Less Wrong? I'm guessing so, and must say from visiting and posting there that they rely on deduction to make ideas less wrong without acknowledging properly the hypotheses that must be framed and sacrficied for progress. The point is to frame open hypotheses to as well stated conditions as possible and test them deductively for security, and proceed with more hypotheses. You cannot move incrementally securely by 'deductive induction' alone, and we are all free to be as inductive as we like, with responsibility. They rob Peter to pay Paul because they do not understand the completely entangled dynamic of induction and deduction and its flexibility in reality (as opposed to 20 20 hindsight). Who foresaw Darwnism? Not to mention that "deductive induction" is an oxymoron. Paul, I don't think I follow. Maybe you could give an example from LW of what you mean? Yes, I say 'deductive induction' to suggest they are defeating their purpose somewhat by strictly limiting their hypothese too much. The approach is in the aim of the site, to make argument less wrong by deduction, but a good example where I tried to post some corrections to methodology in 'Solominoff Induction'. I made some posts about the trade-off when making induction as strict as Soliminoff seems to propose, and directly challenged the author to answer them (which he didn't, last time I checked). Instead, he just gave several negative votes which bumped a couple of my posts off the blog, as they have a system where, if you get into a good argument with someone and they have "points" (I have none to save myself as a new person) they can just dump negativity on your post and its disappears, or mine did. Very sad methodology, and method. No future in it, really. I don't play with words as others do in posts, or crawl incrementally (or generally). Paul/Massimo: for one thing, LW is hardly a monolithic entity, at least not anymore. For another, their stated purpose is definitely NOT "making arguments less wrong by deduction" (I'm still not altogether sure I know what you mean by that). That said, there are some silly things about LW, most of which LW is itself aware of. The biggest one is, as Massimo says, the reinvention of epistemology in isolation from philosophy. 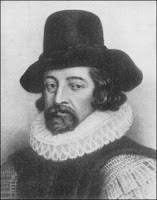 (See Luke Muelhauser's post here on LW's relation to philosophy. Again I stress that Yudkowsky's problems are not LW's problems. If you're interested, however, I can tell you a couple of LW innovations in epistemology that I haven't heard anywhere else. Also, what Paul said about the 'karma' points system on LW is just misleading. If you post a comment, each member has one and exactly one upvote/downvote. It is not possible for an old timer acting alone to downvote your comments/posts to death, it takes several people. Maybe they were in fact unfair to you, but if so it was more than one person. In general, the karma system on LW is great; it keeps the signal/noise ratio high and makes the trolls all but invisible. I don't agree with the Karma syatem, and would never have it on a Blog, but it's their Blog so they can do what they want. I am sure people can make up their own minds about posts without a public poll of subscribers to the status quo (I don't trust public polls either). I am now a troll on their terms, so I won't be visiting to provide any insights, which defeats their purpose. You didn't mention that they are supposed to back up their voting with explanation, which none of my posts received, so don't apply a system unless its followed, in any case. As for who votes, I guess someone wasted a lot of votes across my posts, and assorted others have followed that strong lead (being a very closed little shop of friends). In any case it's a bent little prejudicial system without explanation, and with it it's only marginally better. I have no idea why you do not understand how deduction and induction work together, and how to be less wrong is to use deduction. Any judment of wrong or right is a deductive judgment, not an inductive hypothesis (which is the thing tested for it's rightness). Do you realize that? The site's title is a proclamation of a one-sided approach, by definition, its inescapable logic, so I have no idea why you can't understand it. It is also prevalent in application at the site, and in their stated aims. You have failed to convince me of anything there, except your lack of understanding of induction - deduction. I don't see that your site has much future, Ian. I should make a specufic objection to the idea that I am "just misleading" about the voting. I don't know if one person has only one vote, and I don't care either way. My earlier post is general, and covers a situation where anyones' vote will tip it into obscurity, or be a basis for others to follow their lead. Re-read my post (was it an attempt to provide chapter and verse on the voting process?). I allow for what I do now know by general comments. It is not "just misleading". You just show your tendentious ignorance to say. Be real Ian, and use real words, don't continue the prejudicial usage. You know the site promotes explanations to back up negativity, but you don't mention it (because my comments are "just misleading"). Ian, when will you learn analyze properly and speak the truth, if you haven't already? "Any judment of wrong or right is a deductive judgment, not an inductive hypothesis (which is the thing tested for it's rightness)." If you test a thing for its rightness and it fails the test, haven't you "induced" its wrongness? You have deduced whether it is wrong or right by deductive criteria applied to the induction, would how I explain it. Massimo, thanks for your comment, I agree in part. I like mavericks if they make progress (obviously, I love those ones) as our understanding of nature might only be half finished (in the figurative sense that "children and fools should never be shown half-finished work"), but I will try not to be mean. My view, consistent with my attempos at analysis here, is that sites like Less Wrong tend to "creeping paralysis" to discovery from secure incremental change. I also object to their approach in not answering argument and hiding behind secret votes. If it helps to understand my approach, consider my thread continued with Roy after you left off at the Shapiro comments in Prinze's Beyond Human Nature. Maverick views, to be answered until satisfied, and learning is achieved in the process, no prejudice. Ian would do well to inform his friends at Less Wrong how to deal with mavericks responsibly. "That website you sometimes link to (LW) positively overflows with that mode of thinking"
For vice #2, read Feeling Rational. In general, see Egan's Law. Kevin, a more generalized view of the site might be that it has a tendency to ignore Karl Popper's warning, if that reference helps. The idea would be to extend knowledge whither it may go as long as it applies widely to recognizable facts. It might be a completely new way of ordering existing facts in a testable way, as it would need a deductive structure anyway. To focus on existing deductive theories to extend them deductively by probablility to be Less Wrong, for example, is a foolish restriction to creativity to reshape the entriety of nature if one wishes, in a more rationally satisfying way. It's creativity versus incrementalism, as a tendency, when it should be both, equally. I wish you hadn't treated multi-level (or group) selection so dismissively. There's a lot more to it than you suggest. I didn't intend to be dismissive of GS across the board, only as an explanation for altruism. My provisional understanding is that it's considered too weak an effect to account for altruism although I'd love to hear what you & also Massimo think. "A non-cooperative individual in a cooperative group still reaps the benefits of the group’s cooperativeness, and so non-cooperative genes increase in frequency." In an attempt to counter faulty reasoning, you've come up with many assumptions that may be false as well. Example, seeming to believe that people have separate genes for cooperativeness and uncooperativeness, and that some instinctively use one, while others instinctively use the other. There are those however who have shown cooperation and non-cooperation to be part of a hierarchy of behavioral strategies that are optional to every individual, and their use depends on a variety of circumstances, not on the dominance in the individual of that particular gene. I note that Ian has ignored this comment, so I suppose, like a true neoDarwinian, he does believe that there's such a thing as non-cooperative genes. Roy, not ignoring your comment, I just get busy sometimes, even on weekends. I am not at all committed to a 'genetic' explanation of altruism; the point is more that even if we were to settle on such an explanation it would still leave a lot of questions unanswered. I do not consider myself a neo-Darwinian; I have no particularly strong opinions about the details of evolutionary theory, and I doubt that anybody would give them much weight if I did. OK, because it bugs me when some scientists still speak of altruistic versus selfish genes when n fact we all share both qualities, but have such differences in what other scientists call our personalities. However, personality differences are relative to each other, hierarchically, and not fixed. A nice article here, http://news.discovery.com/animals/bugs-personality-insects.html , shows that "Even Bugs have Personality", but different traits aren't noted by the absence of others. Ian, I like the part near the end; on my blog, I identify myself as a skeptical left-liberal (for America, at least) and say that that includes being skeptical of left-liberalism, too. On group selection, I think it has some effect. That said, if anything holds up from E.O. Wilson's questioning of Hamilton, larger genetic issues in altruism are going to come into question, aren't they? And, groups, at least in theory, have larger-than-average epigenetic sharing. Finally, directly connected to politics, and indirectly connected to philosophy, perhaps, and quite definitely connected to liberalism, is Massimo going to do an obit-type post about Cockburn? >Ian, I like the part near the end; on my blog, I identify myself as a skeptical left-liberal (for America, at least) and say that that includes being skeptical of left-liberalism, too. That's more or less how I feel, though I am wary of even that label. >...is Massimo going to do an obit-type post about Cockburn? I'm curious, to whom are you referring? "Where does the normativity come in, if anywhere?" That may be on the right track, but it has also barely left the station. How do desires give us normativity? One of the main vices I see are those who will argue that philosophy is of no value then going on to make a philosophical argument (or even worse, will ignore when a philosophical argument would be a much more appropriate and useful tool). I really liked this post, it seemed to hit on 3 key errors that I've seen all too often made by people under the banner of critical thinking. Thanks, Ian; I found your post quite interesting. 'Evil' seems to me an indispensable word to describe certain phenomena of human behaviour, such as the Uzbek government's occasional practice of boiling political dissidents to death (please take a moment to imagine what that would be like). I tend to reserve the word for extreme cases where terrible means are employed in the furtherance of terrible ends. Basically by evil I mean "extremely ethically terrible actions & character traits." Seems to me many skeptics instinctively think of evil as a "force" in the world with agency of its own (which is a hangover from religious traditions), and then in the process of denying that such agency exists, deny altogether that evil could possibly mean anything. In statement 2, the phrase "high-level" doesn't really have any meaning. It tacitly suggests that there is a kind of higher reality beyond simple ontological reality, and "love" is part of it. Both statements seem to share the assumption that "love" must be justified by something beyond simple experience of the phenomenon, in person or by observation of others. The second example I don't understand at all. I gather that to "cash out" means to provide an understanding of the term. But the few examples I know of people denying the reality of evil tend to be the philosophical types who reject empricism and hold that you cannot attain knowledge about psychology, society, morality and God. It's not an issue I've had much interest in, as I rather hear references to "evil" as personal emotional expression rather than an argument. The third example seems to be a typo for "Choice is just an illusion." You could just as well say that consciousness is a kind of symbolic display of the multifarious unconscious processes of the brain. Or to put it another way, the consciousness is a point of view, the projected center of the sensorium, adapted to other purposes. I suppose you could pretend to imagine a person who doesn't actually "see" as he or she walks along, but I don't think you really could. The distinction between statements 1&2 in the love example seems, as I said, that the one attributes a kind of reality to love, while the other reduces it to chemicals. In the free will example, again the charge seems to be that denial of free will reduces the notion of choice to, well, nonexistence. Could your vice #2 be what the anti-scientism people call reductionism? I'm not (at least not only) a consequentialist. There is no "correct" or "true" morality. Unless you want to pull another Sam Harris, you should not assume that all reasonable people agree on the veracity of consequentialism. And saying that all rational agents strive to maximize their utility is meaningless (and borders on a tauntology, depending on how "utility" is defined). Even if they do, it doesn't mean it's a good thing. Hume's law and all that. "I have never heard a self-described rationalist argue against homosexuality (except, once, to decry its mixed Greek and Latin etymology!)." I'm reminded of a t-shirt: "Polyamory is wrong! It's multiamory or polyphilia, but mixing Greek and Latin roots? Wrong!"